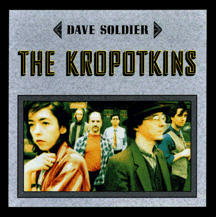 The Kropotkins were founded by Jonathan Kane and Dave Soldier in 1994 after they heard Mississippi fife and drum music and flipped out on it. We asked was what would rock n' roll sound like if it went down those rural routes? 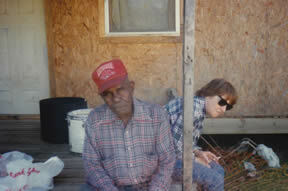 Othar Turner and Sid Hemphill showed you could mix the bass and snare drum with the banjo, fiddle, and guitar and vocals. Everything can be played without electonics at a barbeque. 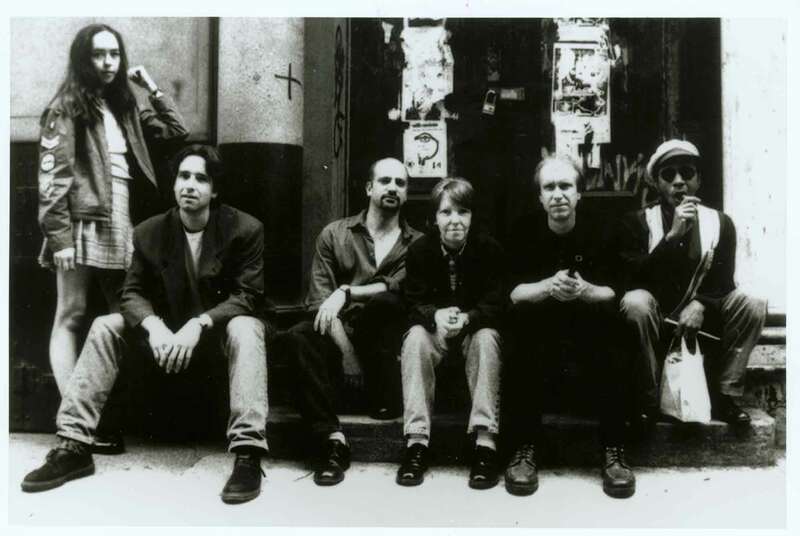 In detail, in 1992 I was on a tour with John Cale and Bob Neuwirth with John on Bosendorfer piano, the Soldier String Quartet and the British pedal steel player BJ Cole, singers Tiye' Giraud and Sam Butler. We traveled in two enormous tour buses full of equipment and required many hours a day to set up. One day waiting for soundcheck in Stuttgart I heard a Japanese bluegrass band playing Bill Monroe on the street. It took a minute for them to set up and they could play anywhere. Monroe's music was transcendent, many years after he created it and in a foreign country played by unexpected musicians. Bill Monroe's music, along with Howlin' Wolf, hearing unreleased north Mississippi tapes by Alan Lomax at the Smithsonian, and cassettes of Junior Kimbrough, RL Burnside and Othar Turner that the writer Robert Palmer had given me, inspired the Kropotkins. I called up my favorite musician for each part. Locating Lorette Velvette was an adventure, the only player in the group I didn't really know and had only met once when she opened for Othar Turner in 1992 at the Bank on Houston Street - I thought I was hallucinating. I tracked her down in Memphis when the Cale and my String Quartet group performed at the 25th anniversary of Elvis's death. From the Cale entourage, we invited the great Mo Tucker to play. And my favorite violinists, Charlie Burnham and Mark Feldman, and favorite slide guitarist, Dog (Mark Deffenbaugh) as well as percussionist Samm Bennett. 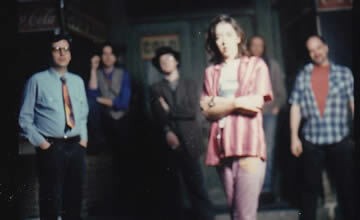 Mo Tucker performed with us 1998-2002, and wrote some great material on Truckstop Girls. It's a great group, we have a great time playing, but farming for Alex and Lorette, as well as work and families keep us from performing as much as we'd like. Also, Alex, Lorette, and Ron live in Memphis, and Charlie, Dog, Dave, and Jonathan in New York. 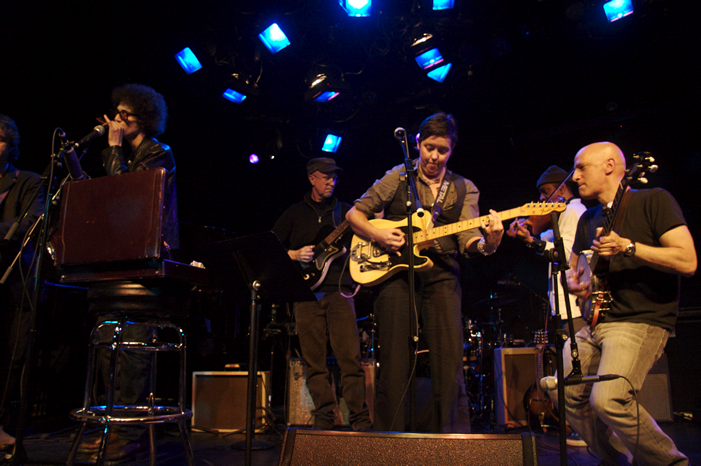 We've played memorable concerts at the Bottom Line, Knitting Factory, Tonic, Joe's Pub, Poisson Rouge, Issue Project Room and the Blues in Roots Festival in the mountains of British Columbia. (blue ones from Poisson Rouge, December, 2009, light ones from Issue Project Room, February, 2010) - there are more on YouTube. Entertainment Weekly: "New York avant-gardist David Soldier and a cadre of experimentalists take apart the Mississippi Delta Blues and reassemble them into a jagged, slightly nightmarish soundscape. 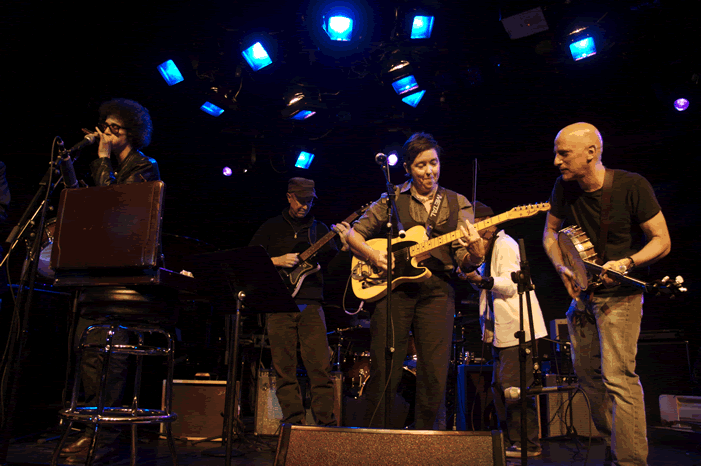 The core instruments are fiddle, banjo, and drums (plus Lorette Velvette's flat-affect vocals). 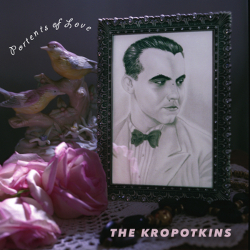 You would expect so self-consciously arty an enterprise to reek of pretensiousness; instead, The Kropotkins is funky and listenable." 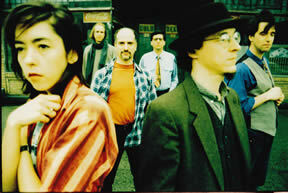 East Bay Express: "The Kropotkins could be considered an alt-rock/underground supergroup: it's made up of Lorette Velvette (the Hellcats, Tav Falco's Panther Burns); avant-classical violinist Dave Soldier (the Soldier String Quartet, Elliott Sharp, John Cale); Moe Tucker (Velvet Underground); Jonathan Kane (Swans); jazz violinist Charlie Burnham (James Blood Ulmer, Ronald Shannon Jackson); and guitarist Dog (drummer/composer Samm Bennett). 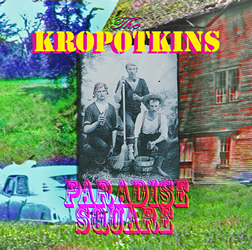 The Kropotkins use the vocabulary of Delta blues, old Southern backcountry fife-&-drum music, and raw rock 'n' roll, which ends up sounding something like a skiffle group from hell or Leatherface's back-porch string band. Scratchy fiddle, yowling electric slide guitar, drums that alternately sound martial then harmolodic Ã la Ornette Coleman, percussion coming over the shortwave from Jamaica and West Africa, and the deadpan stray-cat vocals of Ms. Velette lead you through areas of New York and the rural South that you'll never see on a tourism commercial. 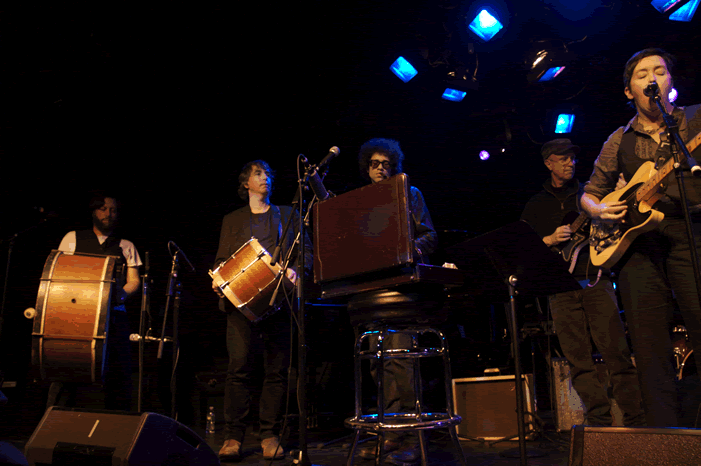 The '77-era Mekons-like "Seconds Past Midnight" seems to chronicle the last hours (or an S/M session) of some schnook ("they brushed his hair and beat him tenderly/ that fool thought death didn't know his name"), and the stark, swampy, slithering blues that is "Junior's Groove" might make R.L. Burnside join the priesthood. Their music doesn't merely draw upon the blues tradition for its mojo -- it draws upon the African roots of the blues, without ever coming off as wannabe ethnomusicologists." Tiny Mix Tapes: "the music is always pretext. Pretext for Lorette Velvette and Samm Bennett, whose vocals, sung with tender or ironic tones, outline scenes from outdated places and times, sketching the timeless failings of their fellow man, taking part in the constitution and perpetuation of a specific idea in the American myth." 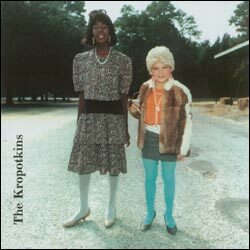 The Kropotkins were founded by drummer Jonathan Kane and violinist/ banjo player Dave Soldier in NYC in 1992 after they heard Mississippi fife and drum music and flipped out. We asked was what would rock n' roll sound like if it went down those rural routes? Sid Hemphill showed you could mix the bass and snare drum with the banjo, fiddle, and guitar and vocals. Everything can be played without electonics at a barbeque. We asked our favorite musicians on their respective instruments, singer Lorette Velvette from Memphis, violinist Charlie Burnham, guitarist Dog (Mark Deffenbaugh), and drummer Alex Greene, also from Memphis. It's a great group, we have a great time playing, but farming for Alex and Lorette, as well as distance, work and families keep us from performing as much as we'd like. 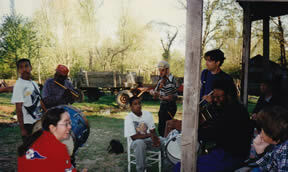 Over nearly 20 years, we have had three CDs, the newest called Paradise Square (Mulatta Records), and we hope to record some new music next year in New Orleans.